Despite what the cover looks like, this is not a sweet and whimsical book, and thank goodness for that. If you're lucky, this summer you're going to have a long plane ride or a few long afternoons beside a large body of water, and you're going to need a book to keep you company. If you're less lucky, you're going to log hours riding on the el with other hot, smelly commuters and loud, drunk baseball fans, and you're going to need a book not just for company, but for distraction. This is not a time for a book that requires space and quiet for you to think about what it all means (unless you're fortunate enough to get a seat on the eastern side of one of the Lake Shore Drive express buses, where you can spend your commute gazing contemplatively at Lake Michigan). This is time for a book whose reason for existence is far more basic: it was created to entertain you and make your train or plane ride more endurable. I read a lot of Susan Jane Gilman's new novel, The Ice Cream Queen of Orchard Street, on the el, and also in restaurants while eating alone. It was excellent company. Gilman is the author of three previous books, the most recent of which, Undress Me in the Temple of Heaven, a memoir of a disastrous postcollegiate backpacking trip through rural China in 1986, was also excellent company. The Ice Cream Queen of Orchard Street, is ostensibly also a memoir: it's 1984 and Lillian Dunkle, now pushing 80 and embroiled in several potentially ruinous lawsuits (Leona Helmsley comes to mind), recounts how she transformed herself from a shtetl girl named Malka Treynovsky to the Ice Cream Queen of America. The immigrant experience on the Lower East Side—oh, how people go on about it! Such nostalgia. The pickle man, the peddlers' wagons, the children playing marbles on the stoops. . . . Now, apparently, there are even "cultural walking tours" for tourists: Some schmuck with an umbrella points out a knish store to a bunch of Japanese. Well, let me tell you, darlings: immigrant, schimmigrant. In case you couldn't tell, Lillian is no sweet old lady. (She doesn't even like ice cream that much, though she does love her weed and whisky.) Since early childhood, her defining characteristic has been her big mouth. When the world takes a swing at her, she punches right back. Upon her arrival in America in 1913, she suffers a series of catastrophes that result in her being abandoned by both her parents, separated from her three sisters, and her right leg getting crushed after she gets in the way of an Italian ice peddler's horse. Out of guilt, the peddler and his family take her in and teach her how to make ice cream, but, as she learns, they never really love or accept her as one of them. As a young woman, Lillian falls in love with Bert Dunkle, another immigrant who has been abandoned by his family who mistook his dyslexia, and subsequent illiteracy, for stupidity. "Aren't we a pair?" he says. Bert, however, is also movie-star handsome, enough for Lillian to doubt his fidelity throughout their long marriage and business partnership. Lots of stuff happens. After a while, I was happy enough to succumb to Lillian's weisenheimer voice that I stopped bothering to outthink it, or analyze it, or predict what was going to happen next. I forgave even the most improbable coincidences. It was one of the purest reading experiences I've had in a while, just losing myself in a story and forgetting where I was or what I was doing. There are so many other tricks writers play now, with language or with narrative structure, that sometimes we forget that this is one of the hardest to pull off. 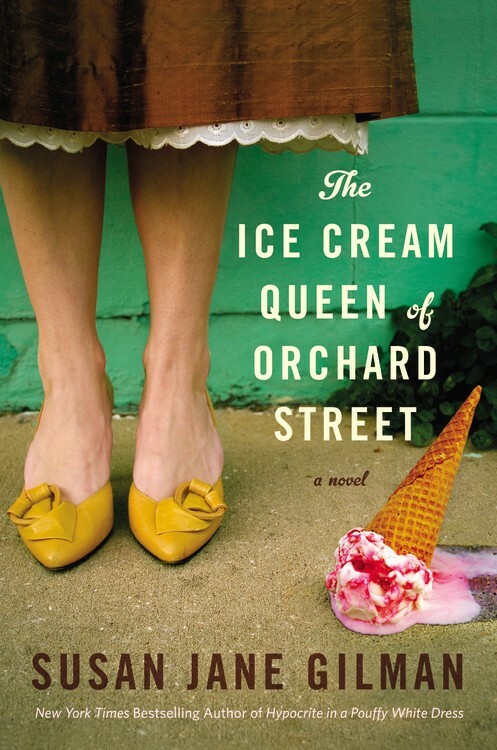 Susan Jane Gilman will be reading from The Ice Cream Queen of Orchard Street this evening at 7:30 PM at Women and Children First, 5233 N. Clark, 773-769-9299, womenandchildrenfirst.com.